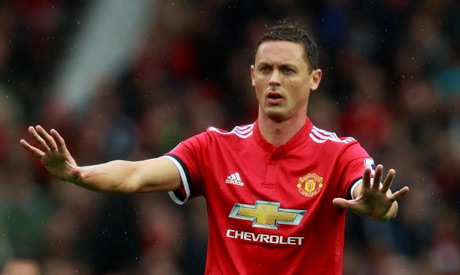 Nemanja Matic says Manchester United can mount a title challenge next season after they moved into the Premier League's top four for the first time since the opening weekend of the campaign. Ole Gunnar Solskjaer's superb start to life as caretaker manager continued with a comprehensive 3-0 victory for United at strugglers Fulham. "We knew that if we win then we will be in fourth position," said the defensive midfielder. "Of course, Chelsea have one game less, but we are happy for three more points. "So you need to win six, seven games in a row, then you can drop some points, to draw, to lose one game. But we have to continue, we have to continue like this. We have to learn always, and this is the way to play. "He's always positive," Matic said. "Of course, when we don't play well, of course he needs to shout a little bit. "But he's the same, always positive. The same when I see him in the press conference, he's like this with us also in the changing room," added the 30-year-old Serbian international.